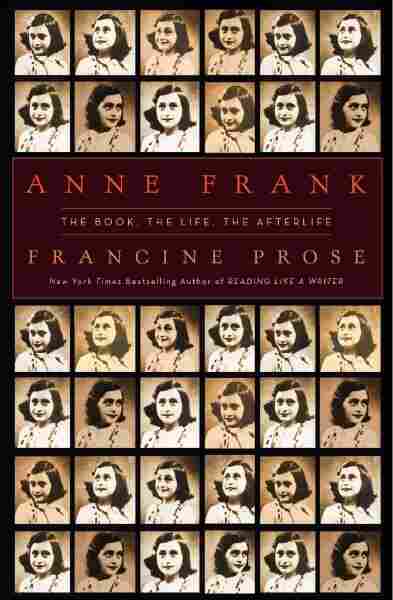 Francine Prose Explores Anne Frank's Literary Genius Anne Frank's diary is read and quoted around the world, by youngsters, statesmen and scholars alike. But novelist Francine Prose says it's time the diary was appreciated as literature — not just a historical document. Over the past 50 years, Anne Frank of Amsterdam has become an emblem of the innocence and brilliance that was destroyed by the Holocaust. Her diary is read and quoted around the world by youngsters, statesmen and scholars alike. But novelist Francine Prose says it's time the diary was appreciated as literature — not just as a historical document. In her new book Anne Frank: The Book, The Life, The Afterlife, Prose examines Frank's tremendous literary gift, as well as her maturity and insight. "Among the things that's so extraordinary about the book is her unbelievably mature and balanced view of human nature," Prose tells Scott Simon. Though some readers have criticized Frank's sentimentality, Prose says her voice is a nuanced one that mixes inspiring optimism with the deepest of pessimism. She points out that though the diary begins when Frank is 13, the voice we read is really that of an older, more insightful teen. "She decided that she wanted the book to be published, and she went back to the beginning and she re-wrote all the entries she wrote as a 13-year-old, except of course now she was a 15-year-old," Prose says. 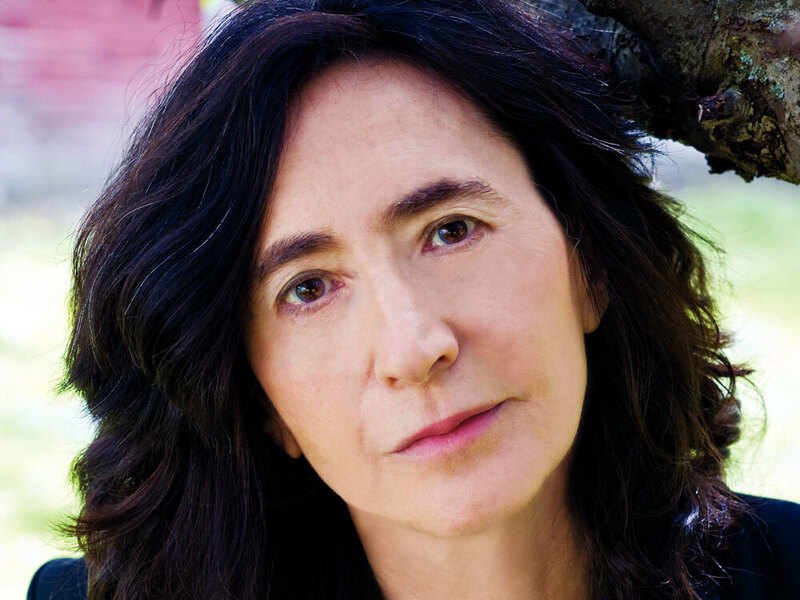 Francine Prose's previous books include Touch and Goldengrove. Prose remembers reading the diary as a child and feeling an immediate connection to the girl who, like herself, experienced problems with her mother and closeness with her father. She adds that she's still struck by the way modern students respond to Frank's words. "Every time I've talked to students or brought the diary to students and heard what they have to say, I've been incredibly moved by how current it is for them and how much it still affects them all these years later." "I would call the subject of Anne Frank's Diary even more mysterious and fundamental than St. Augustine's, and describe it as: the conversion of a child into a person. . . . Why — I asked myself with astonishment when I first encountered the Diary, or the extracts Commentary published — has this process not been described before? universal as it is, and universally interesting? And the answer came. It is not universal, for most people do not grow up, in any degree that will correspond to Anne Frank's growing up; and it is not universally interesting, for nobody cares to recall his own, or can. It took, I believe, a special pressure forcing the child-adult conversion, and exceptional self-awareness and exceptional candour and exceptional powers of expression, to bring that strange or normal change into view." "She was a marvelous young writer. She was something for thirteen. It's like watching an accelerated film of a fetus sprouting a face, watching her mastering things . . . Suddenly she's discovering reflection, suddenly there's portraiture, character sketches, suddenly there's long intricate eventful happenings so beautifully recounted it seems to have gone through a dozen drafts. And no poisonous notion of being interesting or serious. She just is . . . The ardor in her, the spirit in heralways on the move, always starting things . . . she's like some impassioned little sister of Kafka's, his lost little daughter." The first time I read The Diary of Anne Frank I was younger than its author was when, at the age of thirteen, she began to write it. I can still picture myself sitting crosslegged on the floor of the bedroom in the house in which I grew up and reading until the daylight faded around me and I had to turn on the lamp. I lost track of my surroundings and felt as if I were entering the Amsterdam attic in which a Jewish girl and her family hid from the Nazis, and where, with the aid of their Dutch "helpers," they survived for two years and a month, until they were betrayed to the authorities, arrested, and deported. I was enthralled by Anne's vivid descriptions of her adored father, Otto; of her conflicts with her mother, Edith, and her sister, Margot; of her romance with Peter van Pels; and of her irritation with Hermann and Auguste van Pels and the dentist, Fritz Pfeffer, with whom the Franks shared the secret annex. I remember that when I finished the book, I went back to the first page and started again, and that I read and reread the diary until I was older than Anne Frank was when she died, at fifteen, in Bergen-Belsen. In the summer of 2005, I read the diary once more. I had just begun making notes for a novel that, I knew, would be narrated in the voice of a thirteen-year-old girl. Having written a book suggesting that writers seek guidance from a close and thoughtful reading of the classics, I thought I should follow my own advice, and it occurred to me that the greatest book ever written about a thirteen-year-old girl was Anne Frank's diary. Like most of Anne Frank's readers, I had viewed her book as the innocent and spontaneous outpourings of a teenager. But now, rereading it as an adult, I quickly became convinced that I was in the presence of a consciously crafted work of literature. I understood, as I could not have as a child, how much art is required to give the impression of artlessness, how much control is necessary in order to seem natural, how almost nothing is more difficult for a writer than to find a narrative voice as fresh and unaffected as Anne Frank's. I appreciated, as I did not when I was a girl, her technical proficiency, the novelistic qualities of her diary, her ability to turn living people into characters, her observational powers, her eye for detail, her ear for dialogue and monologue, and the sense of pacing that guides her as she intersperses sections of reflection with dramatized scenes. I kept pausing to marvel at the fact that one of the greatest books about the Nazi genocide should have been written by a girl between the ages of thirteen and fifteen — not a demographic we commonly associate with literary genius. How astonishing that a teenager could have written so intelligently and so movingly about a subject that continues to overwhelm the adult imagination. What makes it even more impressive is that this deceptively unassuming book focuses on a particular moment and on specific people, and at the same time speaks, in ways that seem timeless and universal, about adolescence and family life. It tells the truth about certain human beings' ineradicable desire to exterminate the largest possible number of other human beings, even as it celebrates the will to survive and the determination to maintain one's decency and dignity under the most dehumanizing circumstances. Anne Frank thought of herself not merely as a girl who happened to be keeping a diary, but as a writer. According to Hanneli Goslar, a childhood friend, Anne's passion for writing began when she was still in school. "Anne would sit in class between lessons and she would shield her diary and she would write and write. Everybody would ask her, 'What are you writing?' And the answer always was, 'It's none of your business.'" In April 1944, four months before the attic in which the Franks found refuge was raided by the Nazis, Anne Frank recorded her wish to become a writer. "If I haven't any talent for writing books or newspaper articles, well, then I can always write for myself. . . . I want to go on living even after my death! And therefore I am grateful to God for giving me this gift, this possibility of developing myself and of writing, of expressing all that is in me!" Much has been made of how differently we see Anne Frank after the so-called Definitive Edition of her diary, published in 1995, restored certain passages that Otto Frank had cut from the version that appeared in Holland in 1947 and in the United States in 1952. In fact, though the Definitive Edition is almost a third longer than the first published version of The Diary of a Young Girl, the sections that were reinstated — barbed comments about Edith Frank and the Van Pelses, and other entries revealing the extent of Anne's curiosity about sexuality and about her body — don't substantially change our perception of her. On the other hand, there is a scene in Miep Gies's memoir, Anne Frank Remembered, that actually does alter our image of Anne. Along with the other helpers, the employees of Opekta, Otto Frank's spice and pectin business, Miep risked her life to keep eight Jews alive for two years and a month, an experience she describes in a book that sharpens and enhances our sense of what the hidden Jews and their Dutch rescuers endured. The scene begins when Miep accidentally interrupts Anne while she is at work on her diary. I saw that Anne was writing intently, and hadn't heard me. I was quite close to her and was about to turn and go when she looked up, surprised, and saw me standing there. In our many encounters over the years, I'd seen Anne, like a chameleon, go from mood to mood, but always with friendliness. . . But I saw a look on her face at this moment that I'd never seen before. It was a look of dark concentration, as if she had a throbbing headache. The look pierced me, and I was speechless. She was suddenly another person there writing at that table. The Anne whom Miep observed, was another person: a writer, interrupted. In his 1967 essay, "The Development of Anne Frank," John Berryman asked "whether Anne Frank has had any serious readers, for I find no indication in anything written about her that anyone has taken her with real seriousness." That is no longer completely true. In an incisive 1989 New Yorker essay, "Not Even a Nice Girl," Judith Thurman remarked on the skill with which Anne Frank constructed her narrative. A small number of critics and historians have called attention to Anne's precocious literary talent. In her introduction to the British edition of The Tales from the House Behind, a collection of Anne's fiction and her autobiographical compositions, the British author G. B. Stern wrote, "One thing is certain, that Anne was a writer in embryo." But is a "writer in embryo" the same as one who has emerged, at once newborn and mature? The fact remains that Anne Frank has only rarely been given her due as a writer. With few exceptions, her diary has still never been taken seriously as literature, perhaps because it is a diary, or, more likely, because its author was a girl. Her book has been discussed as eyewitness testimony, as a war document, as a Holocaust narrative or not, as a book written during the time of war that is only tangentially about the war, and as a springboard for conversations about racism and intolerance. But it has hardly ever been viewed as a work of art. Harold Bloom tells us why: "A child's diary, even when she was so natural a writer, rarely could sustain literary criticism. Since this diary is emblematic of hundreds of thousands of murdered children, criticism is irrelevant. I myself have no qualifications except as a literary critic. One cannot write about Anne Frank's Diary as if Shakespeare, or Philip Roth, is the subject." The Dutch novelist Harry Mulisch attributed the diary's popularity to the fact that its young author died soon after writing it: "The work by this child is not simply not a work of art, but in a certain sense it is a work of art made by life itself: it is a found object. It was after all literally found among the debris on the floor after the eight characters departed . . . "Writing in the New Republic, Robert Alter, a critic and biblical scholar, agreed: "I do not mean to sound impervious to the poignancy of the Diary. Still, many diaries of Jews who perished have been published that reflect a complexity of adult perspective and, in some instances, of a direct grappling with the barbarity of Nazism; and these are absent from Anne Frank's writing . . . Anne may have been a bright and admirably introspective girl, but there is not much in her diary that is emotionally demanding, and her reflections on the world have the quality of banality that one would expect from a 14-year-old. What makes the Diary moving is the shadow cast back over it by the notice of the death at the end. Try to imagine (as Philip Roth did, for other reasons, in The Ghost Writer) an Anne Frank who survived Bergen-Belsen, and, let us say, settled in Cleveland, became a journalist, married and had two children. Would anyone care about her wartime diary except as an account of the material circumstances of hiding out from the Nazis in Amsterdam?" At once admiring of Anne's gifts and troubled by a sense of how they have been underestimated, I began to think it might be interesting and perhaps useful for students newly introduced to Anne's diary and for readers who have grown accustomed to seeing it in a certain light to consider her work from a more literary perspective. What aspects of the book have helped to ensure its long and influential afterlife? Why has Anne Frank become such an iconic figure for so many readers, in so many countries? What is it about her voice that continues to engage and move her audience? How have the various interpretations and versions of her diary — the Broadway play, the Hollywood film, the schoolroom lessons, the newspaper articles that keep her in the public eye — influenced our idea of who she was and what she wrote? The book I imagined would address those questions, mostly through a close reading of the diary. Such a book would explore the ways in which Anne's diary found an enduring place in the culture and consciousness of the world. I would argue for Anne Frank's talent as a writer. Regardless of her age and her gender, she managed to create something that transcended what she herself called "the unbosomings of a thirteen-year-old" and that should be awarded its place among the great memoirs and spiritual confessions, as well as among the most significant records of the era in which she lived. That was the simple little book I envisioned. But little about the diary would turn out to be so simple. I had always believed Anne Frank's diary to be a printed version (lightly edited by her father) of the book with the checked cloth cover that she received on her thirteenth birthday in June 1942, and that she began to write in shortly before she and her family went into hiding. That was what I had assumed, especially after I, like the rest of Anne's early readers, had been reassured by the brief epilogue to early editions of her book, in which we were informed that "apart from a very few passages, which are of little interest to the reader, the original text has been printed." I knew there had been controversies about the missing pages Otto Frank had omitted in the process of shaping the diary. More recently, I recalled, more withheld pages had surfaced, passages in which Anne speculated about the disappointments in her parents' marriage. But I had thought that these questions had been answered, and most of the cuts restored, in the 1995 publication of the Definitive Edition, edited by Mirjam Pressler. In fact, as I soon learned, Anne had filled the famous checked diary by the end of 1942; the entries in the red, gray, and tan cloth-covered book span the period from June 12, 1942, until December 5 of that year. Then a year — that is, a year of original, unrevised diary entries — is missing. The diary resumes in an exercise book with a black cover, which the Dutch helpers brought her. Begun on December 22, 1943, this continuation of the diary runs until April 17, 1944. A third exercise book begins on April 17, 1944; the final entry was written three days before its writer's arrest on August 4. Starting in the spring of 1944, Anne went back and rewrote her diary from the beginning. These revisions would cover 324 loose sheets of colored paper and fill in the one-year gap between the checked diary and the first black exercise book. She continued to update the diary even as she rewrote the earlier pages. Anne had wanted her book to be noticed, to be read, and she spent her last months of relative freedom desperately attempting to make sure that her wish might some day be granted. On March 29, 1944, the residents of the secret annex gathered around their contraband radio to listen to a broadcast of Dutch news from London. In the course of the program, Gerrit Bolkestein, the minister of education, art, and science in the exiled Dutch government, called for the establishment of a national archive to house the "ordinary documents" — diaries, letters, sermons, and so forth — written by Dutch citizens during the war. Such papers, the minister said, would help future generations understand what the people of Holland had suffered and overcome. As they listened, the eight Jews in the annex focused on the young diarist in their midst. "Of course they all made a rush at my diary immediately." Of course. Anne's diary was a fact of communal life, like the potatoes they ate, the bathing arrangements they worked out, the alarming break-ins downstairs, and it inspired curiosity and consternation in the people she was writing about. As early as September 1942, Anne describes snapping her little book shut when Mrs. Van Pels comes into the room and asks to see the diary, in which Anne has just been writing about her, unflatteringly. A month later, during a moment of closeness — Margot and Anne have gotten into the same bed — Margot asks if she can read Anne's diary, and Anne replies, "Yes — at least bits of it." For most of her stay in the annex, Anne's diary had been her friend and her consolation. She wrote it for companionship, for the pleasure of writing, for a way to help fill the long hours during which she and the others were required to keep silent and nearly motionless while business was being transacted in the Opekta office downstairs. She wrote to help make sense of herself and the people around her. As Philip Roth notes in The Ghost Writer, the diary "kept her company and it kept her sane." But now, at this hopeful juncture, when it had begun to seem that the war might end and that people might want to read about the lives of its victims and its survivors, the attic residents agreed that Anne's diary was exactly the sort of thing the exiled Dutch minister meant. Anne took his speech as a personal directive. By the morning after the broadcast, she was envisioning a bright career for her book, a future more glamorous than what Minister Bolkestein proposed: posterity in the archive that would become the Netherlands Institute for War Documentation. "Just imagine how interesting it would be if I were to publish a romance of the 'Secret Annex.' The title alone would be enough to make people think it was a detective story. But, seriously, it would be quite funny ten years after the war if we Jews were to tell how we lived and what we ate and talked about here." The title Anne had in mind, Het Achterhuis — literally, "the house behind" or "the annex" — refers to the fact that the rooms in which she and her family hid were above Otto Frank's former workplace and concealed from the street by the buildings around it. Many old Dutch houses had annexes of this sort, a maze of extra rooms added onto the back of the house, meant to extend the cramped space dictated by the structure's narrow facade. A few days later, Anne lay on the floor and sobbed until the idea of herself as a writer lifted her out of despair. "I must work, so as not to be a fool, to get on to become a journalist, because that's what I want! I know that I can write, a couple of my stories are good, my descriptions of the 'Secret Annex 'are humorous, there's a lot in my diary that speaks, butwhether I have real talent remains to be seen . . . "
On April 14, she had serious misgivings about her abilities. Even so, she was imagining the Dutch ministers as her potential audience, and her critics: "Everything here is so mixed up, nothing's connected any more, and sometimes I very much doubt whether anyone in the future will be interested in all my tosh. 'The unbosomings of an ugly duckling' will be the title of all this nonsense; my diary really won't be much use to Messrs. Bolkestein or Gerbrandy." In May she again wrote that she wished to become a journalist and a famous author — only now she had a sense of the book that might make her reputation. "Whether these leanings towards greatness (insanity!) will ever materialize remains to be seen, but I certainly have the subjects in my mind. In any case, I want to publish a book called Het Achterhuis after the war. Whether I shall succeed or not, I cannot say, but my diary will be a great help." The most important result of this new sense of vocation was that Anne began to refine and polish her diary into a form that she hoped might someday appear as Het Achterhuis. On May 20, she wrote, in a passage her father deleted, "At long last after a great deal of reflection I have started my 'Achterhuis,' in my head it is as good as finished, although it won't go as quickly as that really, if it ever comes off at all." In The Ghost Writer, Roth's hero, Nathan Zuckerman, remarks that the diary's dramatic scenes seemed to have gone through a dozen drafts. The truth is that many of them did go through at least two. Returning to the earliest pages, Anne cut, clarified, expanded her original entries, and added new ones which in some cases she predated, sometimes by years. Thus the book is not, strictly speaking, what we think of as a diary — a journal in which events are recorded as they occur, day by day — but rather a memoir in the form of diary entries. The translator of the Definitive Edition, Mirjam Pressler, has written one of the the few books that acknowledges the importance of Anne's revisions. 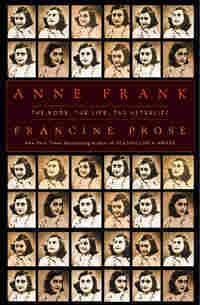 Published in English as Anne Frank: A Hidden Life, and, oddly, targeted at a young-adult readership, Pressler's book mixes biographical information, a meditation about Anne and the others in the annex, and illuminating comparisons between the original diary and the version Anne rewrote. "The Diary of a Young Girl is not a diary kept in chronological order from beginning to end as one might expect. The main part of the book consists of the second version of Anne's original diary, revised with additions by Anne herself, with some stories from the account book in which she also wrote." Judith Thurman got it right, as few have, when she questioned even calling the book, as Anne's American publishers did, The Diary of a Young Girl. "That ingenuous title corresponds to what is in fact an epistolary autobiography of exceptional caliber. It takes the full measure of a complex, evolving character. It has the shape and drama of literature. It was scrupulously revised by its author, who intended it to be read. It is certainly not a piece of 'found art,' as one Dutch critic has suggested." One can understand Doubleday's belief that The Diary of a Young Girl was a catchier title than The House Behind. Though Anne Frank imagined Het Achterhuis as a novel in the form of a journal, it has come down to us as a diary. In The Ghost Writer, Philip Roth — who, as a fellow novelist, would be naturally sensitive to a writer's prerogative to call her book what she wants — refers to Anne's book only as Het Achterhuis, and to the Broadway play by its name, The Diary of Anne Frank. Despite Anne's initial misgivings, the revision of Het Achterhuis went very quickly. Correlating the penmanship of the loose sheets against that of the notebooks, the forensic handwriting analysts later employed by the Netherlands Institute for War Documentation concluded that "if we take May 20, 1944, as the starting date (on the basis of the comment in part 3) and August 1, 1944, as the date of the last entry, then the average daily entry would run to from 4 to 5 pages a day. These must have been written in addition to the entries in the diary, part 3 . . . It appears that the writer worked more intensely on the loose sheets, particularly in the period between July 15 and August 1, 1944. During that period, 162 pages were completed, or about 11 pages a day." Working at this astonishing rate, Anne rewrote her early draft in the weeks before her arrest, making major and minor changes. Like any memoirist fearing hurt feelings, or accusations of misrepresentation, she made a list of pseudonyms for the Jews and their helpers. The Frank family would become the Robins, the Van Pelses would be called the Van Daans, while the dentist, Fritz Pfeffer, would appear in the book as Albert Dussel. Perhaps for fluency, she continued to use the real names when she wrote her second draft. "I am the best and sharpest critic of my own work. I know myself what is and what is not well written. Anyone who doesn't write doesn't know how wonderful it is." By the time she made her final entry, on August 1, 1944, she had revised the passages that preceded the March radio broadcast and kept the diary up to date in an unrevised first draft. After the war, when Otto Frank read over his daughter's work and became convinced that she'd meant it to be published, he prepared a version of the book that combined passages from Anne's first draft and from her revisions, in some cases using earlier versions of passages that she had subsequently revised. All in all, Otto Frank did an admirable job of editing — omitting needless details, choosing between alternate versions of events, preserving the essence of the diary, and intuiting what would make the book more appealing to readers. In many cases, that meant reversing Anne's decisions about what she wanted omitted — for example, the intensely emotional entries from the start of her romance with Peter van Pels, with whom she had become disenchanted during the time she was rewriting her diary. The cooling of the love affair and Anne's focus on the revisions may not be entirely unrelated. Once she had stopped thinking semiobsessively about the boy upstairs, Anne had more time and energy to devote to her writing. She would not have been the first artist to discover that the end of a romance can inspire a return to work with new energy and sharpened concentration. In 1986, the Netherlands Institute for War Documentation published The Critical Edition of the Diary of Anne Frank, a huge volume, over eight hundred pages long, that includes all the extant drafts of Anne's diary; the English edition would appear three years later. Missing from the book were the five pages that Otto Frank and the Frank family chose to leave out, pages that subsequently appeared in the more recent Revised Critical Edition, which was published in Dutch in 2001 and in English in 2003. Both the earlier and later editions contain an account of the methods and conclusions of the forensic experts employed by the institute, who proved that the diaries, except for a few minor editorial corrections, were written entirely by Anne Frank. Their meticulous research demonstrated how the evolution of Anne's handwriting over the course of the two years in hiding took the exact trajectory that the penmanship of a child — the same child — would be expected to follow between the ages of thirteen and fifteen. In The Critical Edition, the original draft of Anne's diary is referred to as the "a" version. The revisions that she made on the loose sheets constitute the "b" version. And the book that her father produced by combining those first two drafts is reprinted as the "c" version. All three drafts are printed in parallel bands, so that it is possible — painstaking, time-consuming, and at times maddening, but possible — to read all three versions and to determine what Anne originally wrote, what she rewrote, what she intended to appear in Het Achterhuis, and at what points her father respected or reversed her decisions. Judith Thurman observed, "What a comparison of the texts does reveal is both how spontaneously the diarist composed her prose and how finely she then tuned it. In order to make such a comparison, however, one needs a certain amount of motivation. The editors' instructions on how to read The Critical Edition are more arcane, and harder to follow, than those for a build-it-yourself hang glider." What makes the task of comparing Anne's original draft with her revisions and with her father's compilation even more challenging are all the unanswered and unanswerable questions. When Anne said that she had begun writing Het Achterhuis, did she mean that she had just begun? Long gaps in each version must be filled in by consulting the others. Even in the cloth diary, pages are misnumbered and dated out of order. If Anne omitted something from her second draft, did that mean that she intended to excise it completely, or that she felt the first version was sufficient? And finally, for those of us who don't read Dutch, there is the problem of knowing how much we are missing by reading the work in translation. According to David Barnouw, one of the editors of The Critical Edition, only readers of Dutch can appreciate how much Anne's style changed over those two years. In the published version, explains Barnouw, Anne's incorrect word choices and other youthful mistakes were rectified, and the rougher passages were smoothed out. "Otherwise, it would have seemed that the editor made a mistake." One of the most clear-sighted experts on the diary is Laureen Nussbaum, a childhood acquaintance of the Frank family (after the war, Otto would be the best man at her wedding) who went on to become a professor at the University of Oregon. She was the first to note that the revised, or "b," draft — Anne's own version of the text — has never been published as a stand-alone volume. The 1995 Definitive Edition, commented Nussbaum, only further muddied the waters since many of the cuts it restored (Anne's reflections on her sexuality and outbursts of rage at her mother) were sections that Anne herself had removed from the book she hoped to publish. As soon as I had taken the time to understand what The Critical Edition contained, and the implications of the alternative versions, I realized that to write about Anne Frank as an artist would be more involved than a straightforward close reading of The Diary of a Young Girl. Suddenly, it was as if Anne had written two books — at least two books — that needed to be considered. The first was the diary that has had, and continues to have, such a powerful effect on readers, the book that has been adapted for Broadway and Hollywood, and that is still taught in classrooms everywhere. That is the so-called "c" version. Any discussion of Anne's influence, of the intensity with which her diary has been taken to heart by its fans, and of the ways in which her "message" has been interpreted requires us to look at the "c" version (regardless of what we might think of the successive drafts, or of Otto Frank's editing) as if it were the only version of the diary. Which, in effect, it is — except for the few readers, among millions, who have professional or private reasons for wanting to study the published diary alongside the alternate drafts. At the same time, it seemed unfair to Anne Frank as a writer to ignore what the variant drafts provide: evidence of her creative process, of her gifts for revision, of her first and second thoughts about how she wanted to portray herself and those around her. What was added to, and lost from, the book during those final months as Anne feverishly rewrote — on the loose colored sheets — the observations, reflections, and self-representation of an earlier self? But that was only part of the complexities involved. When I began to consider writing about the diary, I had only a vague notion of the controversies it had inspired. I knew that Anne's work and her symbolic significance have incited battles extending far beyond the book itself. I had heard that the diary's journey from the printed page to the stage and screen was a rocky one, but I'd had no idea that it involved lawsuits, betrayals and alliances, accusations of plagiarism and breach of contract, and obsessive paranoia concerning Zionist or Stalinist plots. Few other writers have given rise to such intense emotion, such fierce possessiveness, so many arguments about who is entitled to speak in her name, and about what her book does, and doesn't, represent. Few have had such an effect on the world, and inspired the sort of devotion that more often surrounds the figure of a religious leader, or a saint. If one hallmark of a masterpiece is the burrlike tenacity with which it sticks in our memory, Anne Frank's journal claims that status as a consequence of the indelible impression that its "plot" and "characters" leave on its readers. Decades after the diary's publication, the entrance to the secret annex remains the door through which new readers, many of them young, will first enter the historical moment in which it was written. When the book is taught in classrooms everywhere, all sorts of lessons — frequently improving, occasionally peculiar, and often quite unlike anything Anne Frank could have intended — are extracted from its pages. Anne's diary is one of the texts most frequently read and studied by incarcerated men and women in prisons throughout the United States. The book has been translated into dozens of languages; tens of millions of copies are in print. The extent to which the figure of Anne Frank has permeated world culture can perhaps be seen in the fact that, in Japan (where the book was an enormous success, selling 116,000 copies in its first five months in print), to have one's "Anne Frank day" became a euphemism for menstruation, a subject Anne mentioned in her journal. A variety of rose named after Anne Frank now grows all over Japan. A further measure of the book's currency is the excitement generated by each new revelation about Anne's life or about her diary. On September 10, 1998, the New York Times ran a two thousand-word essay, beginning on the front page, headlined "Five Precious Pages Renew Wrangling over Anne Frank" and subtitled: "A long-withheld page from Anne Frank's diary reveals difficulties with her mother: 'I am unable to talk with her. I cannot look lovingly into those cold eyes. I cannot, never!'" It's hard to think of another literary text — a lost Shakespeare sonnet? a previously unknown verse of the Bible? — whose discovery would have received such prominent coverage, especially if the passage concerned a young girl's view of her parents' marriage. Yet another major news story broke in 2005 when a cache of letters was discovered at New York's YIVO Institute, correspondence documenting Otto Frank's desperate attempts to find asylum for his family in the United States or Cuba. These letters inspired a Long Island congressman to campaign — in vain — to have Anne Frank granted honorary U.S. citizenship as partial atonement for our government's refusal to save the Franks. A range of films and plays have attempted to tell Anne's story, with varying degrees of success. Jon Blair's Anne Frank Remembered won an Academy Award for Documentary Feature in 1996. Films and docudramas have included "re-creations" in which actors played the Franks and their neighbors, and one made-for-television film, Who Betrayed Anne Frank?, frames the story as a detective procedural with the sort of ominous sound track we associate with shows about the riddle of the Mayans' disappearance. At the 2007 New York Fringe Theater festival, Days and Nights: page 121, lines 11 and 12 featured actors recognizable as the characters in Anne's diary, but who — in Marc Stuart Weitz's play — passed their time in the attic reciting Chekhov's The Seagull. The 2003 hip-hop film, Anne B. Real, centers on a female rapper who finds inspiration in Anne Frank's story, while the popular book The Freedom Writers Diary and the subsequent film, Freedom Writers, describes how an inner-city classroom was energized by a journal kept during a war that few of the students had known much about. Anne's story has even been made into a Japanese anime cartoon, Anne no Nikki. In 1998, the indie band Neutral Milk Hotel released In the Aeroplane over the Sea, an album of songs partly inspired by Anne Frank's life and death. Ten years later, a musical adapted from the diary — The Diary of Anne Frank: A Song to Life — opened in Madrid. A puppet show of the diary has appeared to sellout crowds in Atlanta, while an episode of 60 Minutes reported that North Korean schoolchildren were being assigned to read Anne's journal with instructions to think of George W. Bush as Hitler and of the Americans as the Nazis who wished to exterminate the North Koreans. Books of nonfiction and fiction have expanded upon, and been inspired by, what Anne confided to her journal. Periodically, the publishing industry discovers the war diary of some hapless young person and promotes its author as the Anne Frank of Serbia, or Poland, or Vietnam, or the latest place where children are the victims of their elders. Philip Roth's 1979 novel, The Ghost Writer, includes a sustained meditation about Anne and her diary occasioned by Nathan Zuckerman's fantasy that the beautiful mistress of his literary idol is Anne Frank, who has not only survived the camps but has come to America, where she is living under a pseudonym and has landed a job archiving manuscripts for her lover. Roth's Anne Frank character, Amy Bellette, reappears, older and infirm, in his 2007 novel, Exit Ghost. That same year, newspapers around the world reported that, weakened by age and disease, the chestnut tree outside the secret annex was in danger of being cut down. Emotions ran high during the debate about whether the leafy messenger that had brought Anne news about the changing seasons could be saved. As I write this, the valiant old tree struggles on in the courtyard of the former warehouse where the Frank family hid, and plans are being made to import and plant ten saplings from the tree in the United States. From Anne Frank: The Book, The Life, The Afterlife by Francine Prose. Copyright 2009 by Francine Prose. Published by Harper. Used by permission of the publisher. All rights reserved.